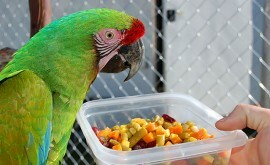 HomeCare and FeedingWhy Do Birds Live So Long? 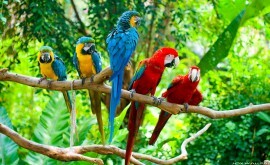 Many people are surprised to learn that birds, primarily parrot breeds, live a long time. On average, pet birds live between 20 and 80 years, which compared with mammals of same or larger size is quite remarkable. Amazing I think! Birds also have a high metabolic rate, body temperature, and high resting glucose, which is why experts believe they outlive mammals. So isn’t that interesting that these very factors should actually decrease life span in in birds as it does in mammals, not increase it but experts believe that birds possess special mechanisms that protect them from quick aging. There is also evidence that flying mammals live longer than non-flying mammals. Is it because they have a quicker escape route from predators than us? They also have lower levels of oxidative damage in mitochondrial DNA, even though they require more energy to take flight. This means that metabolic processes that usually cause free radicals to be released and then bind to cellular components, cause membranes to age and normal processes of the membranes to malfunction. If, us humans, have pain or suffer an injury that too causes oxidative damage. Basically what I’m saying is, the air we breathe and the food we eat causes oxidative stress that causes aging in all of us but parrots have shown to have lower levels of this type of aging. 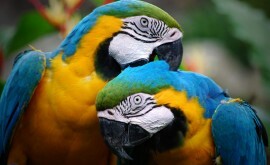 Another fascinating aspect of birds is that parrots live longer than they are supposed to. 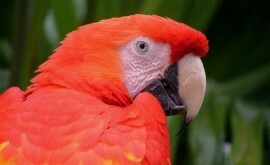 Large parrots such as macaws live four times the predicted lifespan. In general, birds have a lower level of oxidative damage, which signifies they also have reduced levels of reactive oxygen species (ROS) or that birds have developed some type of strategy whereby damage is lessened. Birds also have a complex spectrum of mechanisms that work to reduce damage caused by oxidative processes. For instance, male quail birds possess plasticity (ability to change) of the hypothalamo-pituitary-gonadal axis even with his decreases fertility associated with aging. The current mammalian dogma is defied because white matter tracks in the CNS (central nervous system) of parrots are capable of re-growing neurons related to song seasonally. What remains a mystery is how tracts in the spinal cord and brain are regrown. If medical scientists could figure this out, victims of spinal cord injuries and strokes would greatly benefit. In old animals, to include birds in the wild, many die prior to showing any signs of aging. However, new studies used to observe birds over a period of time indicate this is not true.One study led by Dr. Gerry Dorrestein and Dr. Dury Reavill, found by looking at a bird’s age opposed to changes associated with age, birds’ age could be determined. 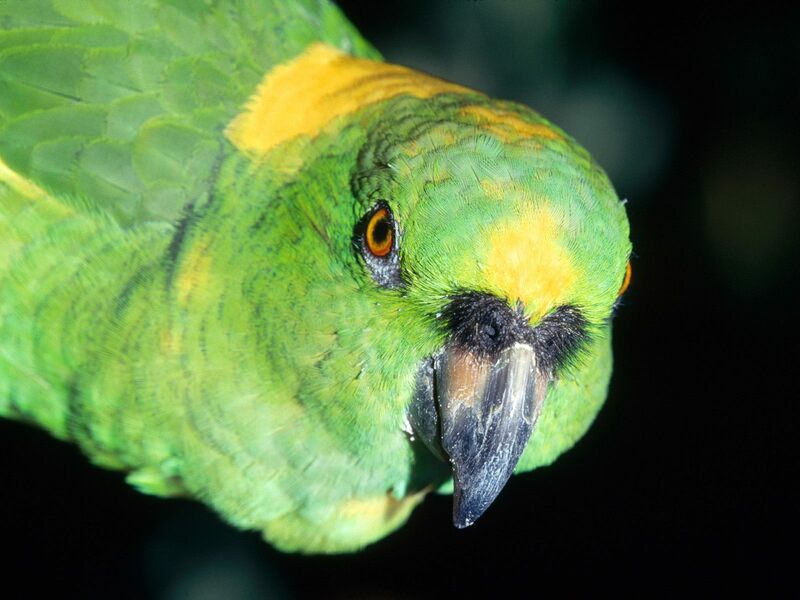 Usually, small birds like lovebirds, canaries, and parakeets live six years or older, cockatiels about 12 years, and amazons, as well as macaws and cockatoos, 40 years or more. Observations by clinicians have been noted as birds begin to age. Proper care of an aging bird starts with yearly examinations. This would entail eye exams, quality of feathering, skin changes, palpating joints, mobility, pain, blood pressure, presence of lumps, and general checkup. A healthy diet is essential, one that provides balanced omega fatty acids to help with diminishing oxidation from free radicals. Foods should also contain increased levels of vitamins E and C, as well A and beta-carotenes. A strong immune system is also vital to keep the bird from getting infections but also reduce incidents of tumors. Commercialized foods that contain ginger, milk thistle, and dandelion are recommended, which are vital for healthy organs. Senior birds are loving, entertaining, and a great asset to owners but to live a long, healthy life, they need proper care.